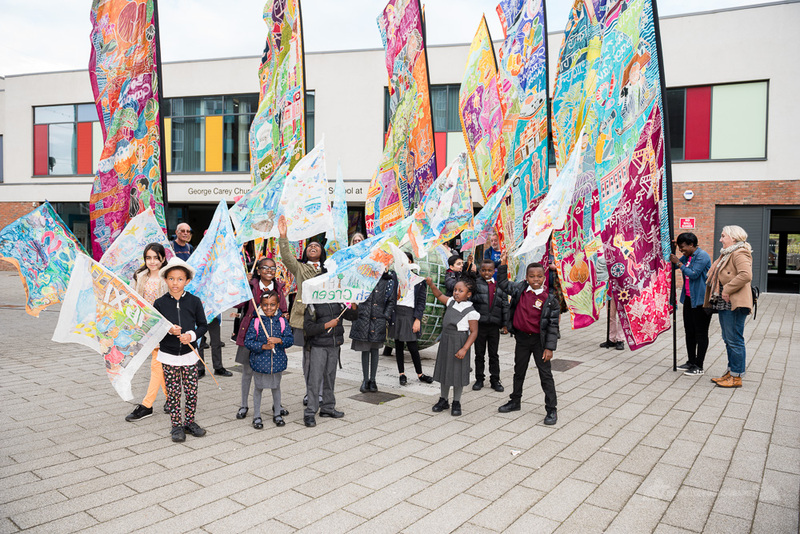 The riverbanks of Barking and Dagenham came alive this summer with a bumper programme of free arts and activities for all to enjoy. Local people immersed themselves in an extraordinary cardboard world, enjoyed three performances from the world-famous Royal Opera House and James Wilton Dance, joined us on a Silk River storytelling journey and Alice on her adventures in Wonderland, or people simply sat back and enjoyed the local arts & crafts, food and drink stalls. There were plenty of opportunities for community participation on the day too with local groups bringing their own making activities. 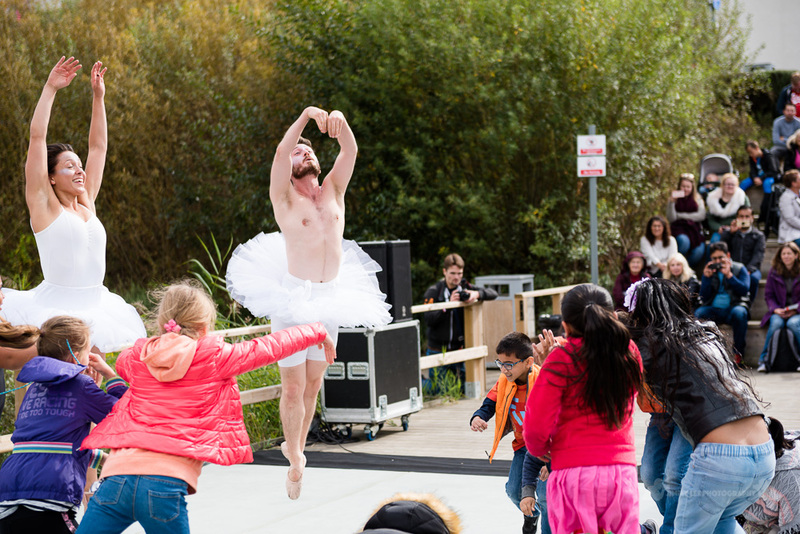 This year, ThamesFest ran over two days: day one was at the Rivergate Centre (Saturday) and day two was Silk River, Barking and Dagenham's part of an international arts walk relay, read on for more about both days! We would like to thank ALL of those who were a part of this fabulous weekend of events. Multi-award winning choreographer James Wilton presented a daring, energetic performance combining althleticism, electro-rock, martial arts, capoeira and contemporary dance. The Royal Opera House showed us the Magic Flute and local people played with the birdcatcher. Markmark Productions brought us a seafaring spectacular full of musical comedy. The boat and its crew were trying to perform Gilbert and Sullivan’s HMS Pinafore but it didn't quite go to plan. 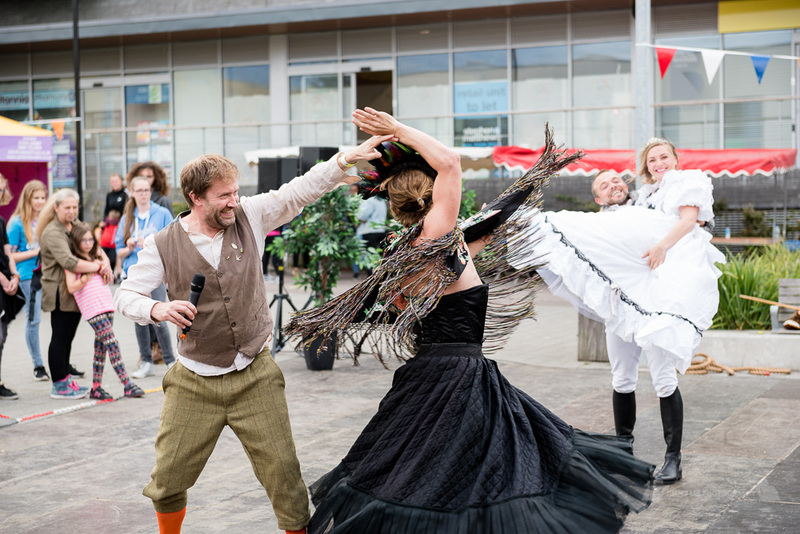 The main stage ran a specially selected programme all day long, hosted by Sharlene Carter as she brought together local performers, dancers, singers and a fanatastic Bollywood flash mob! A colourful art walk through Barking and Dagenham marking the 70th anniversary of Indian Independence. 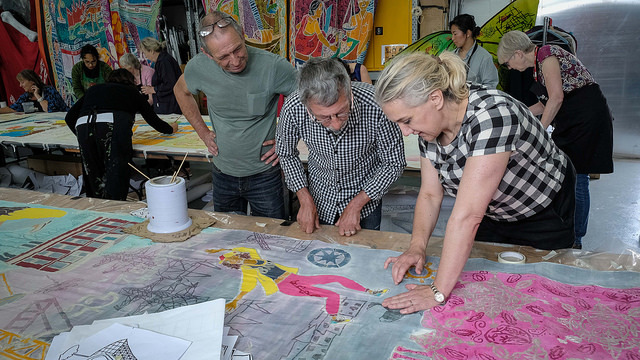 Inspired by stories of the river and the local connections between old and new, the trail showcased giant silk scrolls designed by local artists. 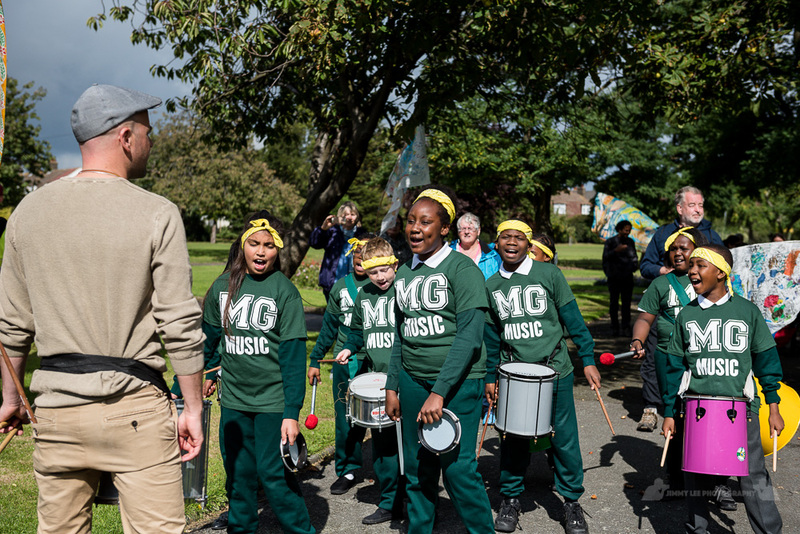 Creative Barking and Dagenham are proud to have played a part in this nationally significant project, which included a relay of nine other river walks talking place between Kew and Southend. 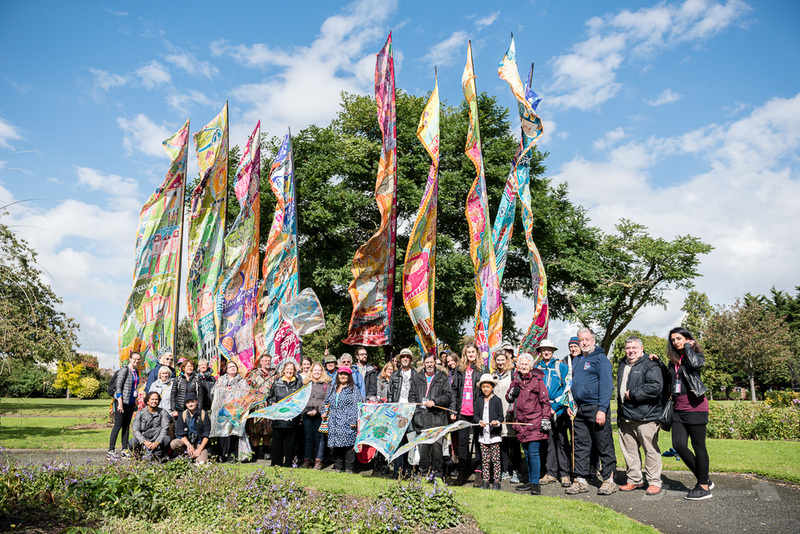 The walk revealed a total of twenty colourful hand-painted Bengal silk scrolls created by local artists. A parallel project ran on the river Hooghly in West Bengal, India exploring the unique relationship between London and Kolkata. The walk began at St Margaret's Church, Barking and concluded at Barking Riverside. Part of Totally Thames Festival. Silk River was produced nationally by Kinetika. 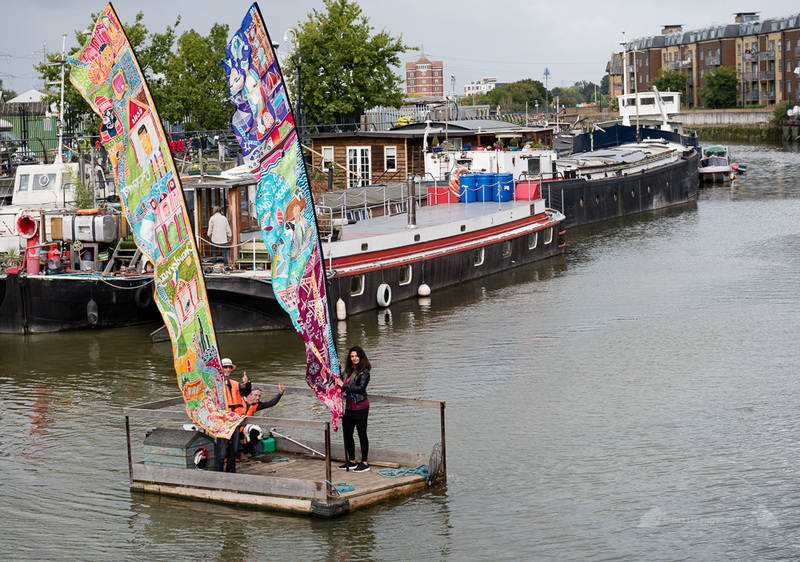 We have a range of Partners for Thamesfest and Silk River and want to thank Matt Carpen, Varsha Patel and all at Barking Riverside, to Ben Dixon and all at Pinnacle, Nigel Sagar and the LBBD council for their funding and support.